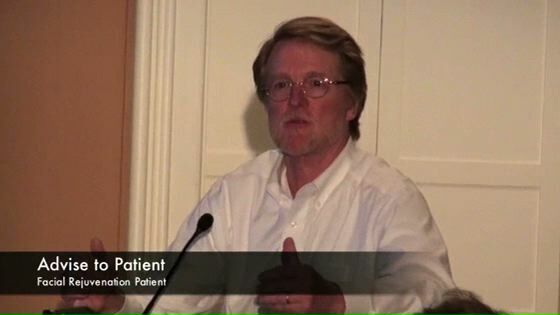 Patient Stories - Patrick Sullivan, M.D. This is a 62 year old gentleman who expressed concerns about facial wrinkles, facial laxity and asymmetry, and neck deformities, which he said had bothered him for quite some time. 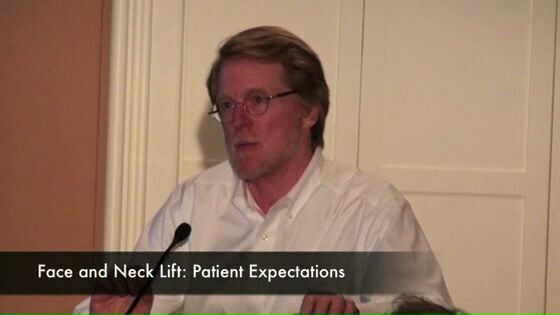 The patient reported that he felt especially self-conscious about the appearance of his neck and wore a beard in an attempt to conceal this area. “I have always had the good fortune of having all of my hair remain strawberry blonde. So, I created this self-impression that I was very young. When I was 50 years old, I caught myself in the mirror and I saw this unpleasant growth under my chin. Oh my goodness, I didn’t know what to do! I began to follow it on a very regular basis for a period of over ten years. Because my background was in science, like Dr. Sullivan, I have opportunities for public speaking. I began to realize, I was loosing my confidence. I began wondering, “what must this audience be thinking of a fellow who looks like this?”. “My father taught me when I was young, he said, “Son, if somebody tells you something that sounds too good to be true, it usually is”. But, the key word here is usually. I had met Dr. Sullivan, and I have met many medical professionals given my background, and I loved his sincerity, I loved his serious scientific approach, and I loved his frankness. He told me, ‘you present a very stiff challenge, and I may have to go back in and do something’ and I was very thankful for that. 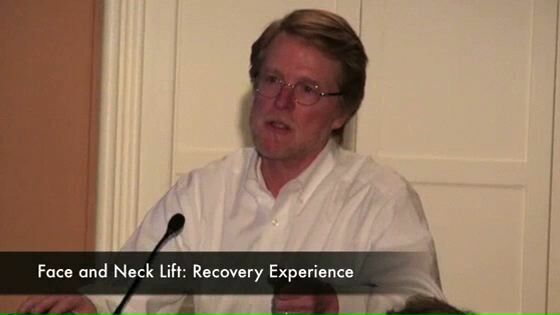 “One thing about Dr. Patrick Sullivan and the interviewing process, and many of you have gone through it, that was remarkably reassuring and for me, it told me that, well, it really wasn’t too good to be true. A multi-layer face lift with sculpting and removal of fatty deposits in the face and neck.